Home Blog Apple Mac 86% choose leasing ! 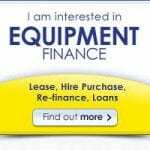 Another recent survey which found that lease finance has been more widely used by manufacturers in the past two years as a way of raising capital than loans and overdrafts. 37% of companies used lease and asset finance over that period, with another 35% planning to adopt leasing over the coming two years. When deciding to use external finance 44% of manufacturers said a key reason was knowledge of the long-term or full cost of the finance, adding that they would continue to consider this as a key driver over the next three years. Often bank lending has many charges to set up the loan. 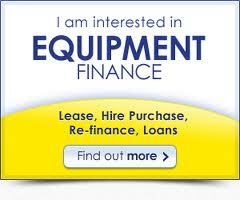 There are differences towards the type of assets for which leasing finance is appropriate. In top place, 67% of respondents cited manufacturing plant and machinery, followed by vehicles (50%), and computer hardware and computer software (20%). HardSoft have been established for over 25 years and though all companies need to finance their ever changing IT needs leasing is not the common choice of funding for PC’s and Apple Mac’s. This 20% though was nearer 10% before the recession started. Just over a fifth of manufacturers taking part in EEF’s survey said they hadn’t sought external finance over the past three years due to an unwillingness to get into debt, with a similar proportion expressing a similar view regarding the next three years. It would be that Cash is still King. HardSoft have a lesaing solution for all your PC and Apple Mac needs whether its a single unit or many. Apart from financial reasons to lease HardSoft Computers offer more and are the ‘one stop shop’ for IT leasing.